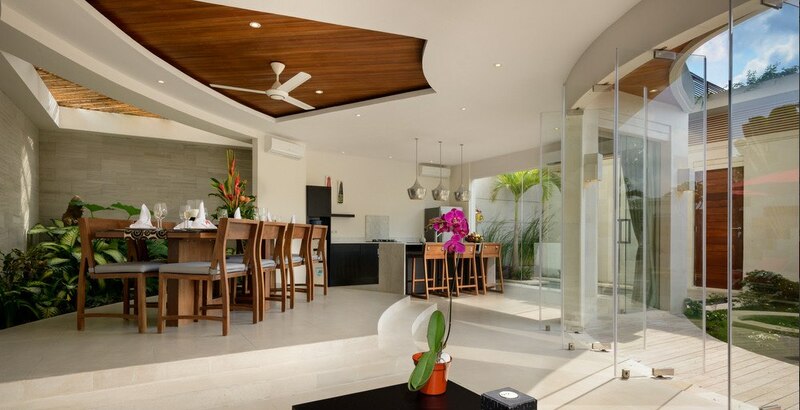 From $ 578 $ 520AUD per night We have direct contracts with most villa owners. We don't add any booking fees. We are 100% transparent with no nasty surprises. 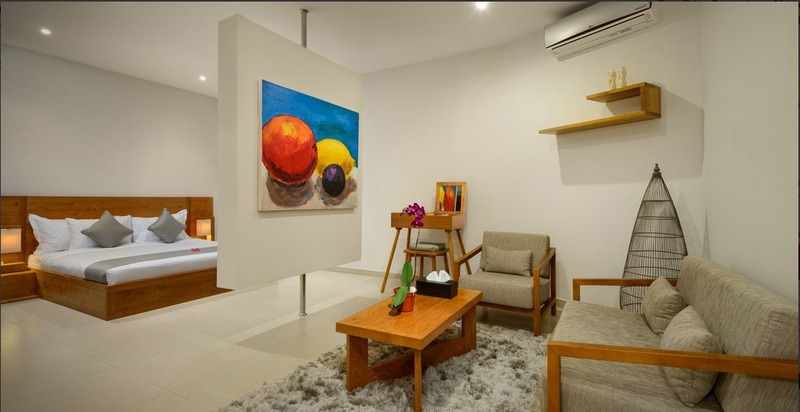 Family friendly Bali villa - rent this now! 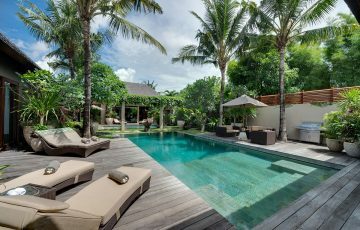 Villa Miro is in an amazing Seminyak location where you are very close to ‘Eat St’, as well as the new Seminyak Village – plus you are near the beach and all those fabulous shops along Jalan Kayu Aya. 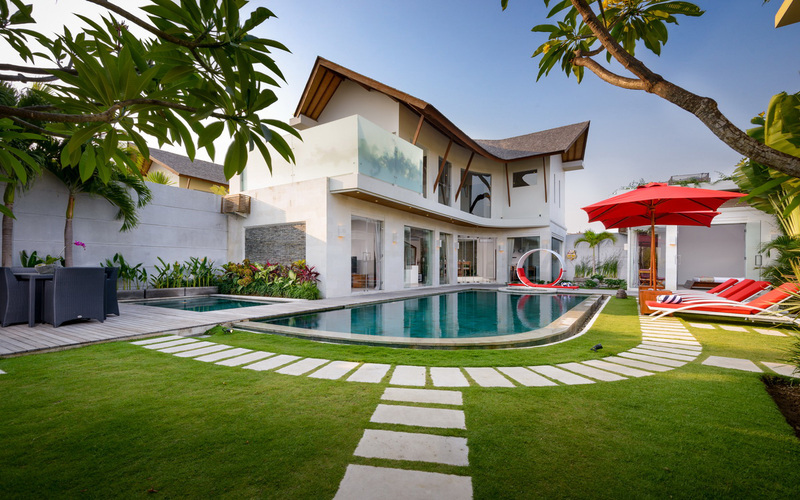 Villa Miro is a 3 bedroom Seminyak villa holiday rental and is the epitome of modern tropical living, situated along the most sort after part of vibrant Seminyak, on Jalan Oberoi, guests can easily walk to all the best restaurants, cafes, spas, yoga studios and beach clubs and of course Seminyak Beach. 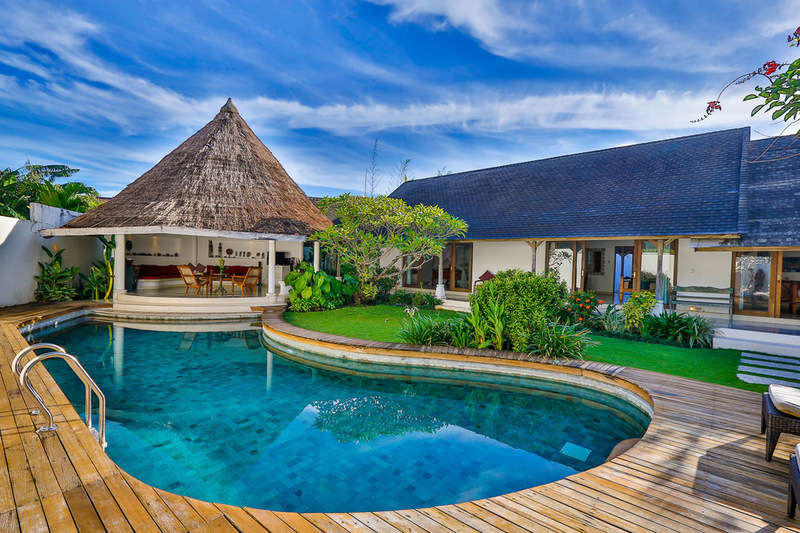 This 3 bedroom villa is ideal for a family getaway with a great pool and out door area, enclosed living areas and comfortable accommodation. 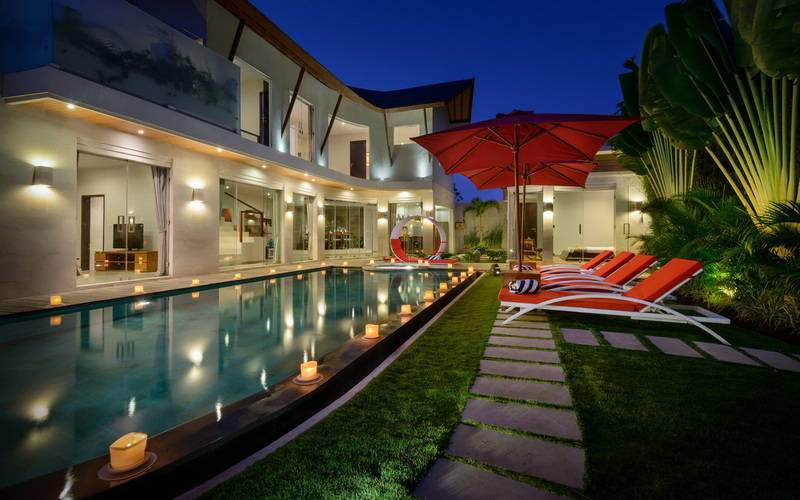 You will find it hard to beat this villa for price, facilities, location, and value. 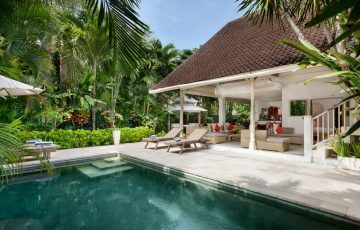 The free-form pool winds its way around the villas main pavilion under a timber walkway to a second section flanked by an alfresco dining setting. 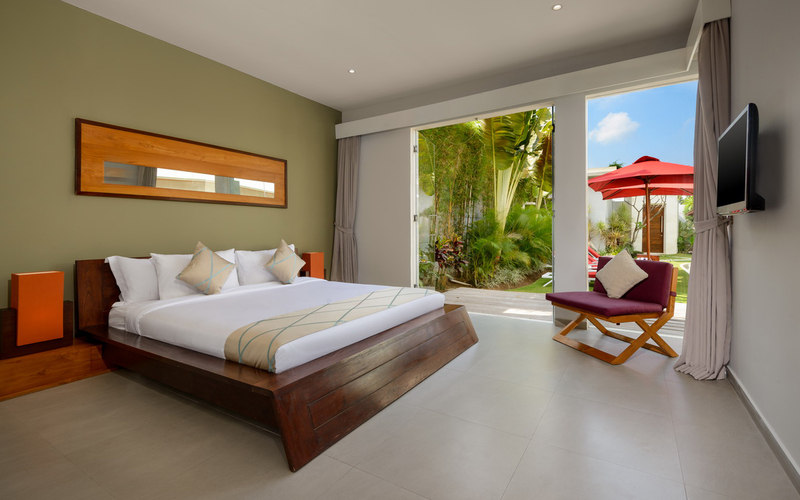 If you have little ones they can splash about in the safety of the jacuzzi and there are lots of sun lounges where you can keep a watchful eye as you soak up the sun. 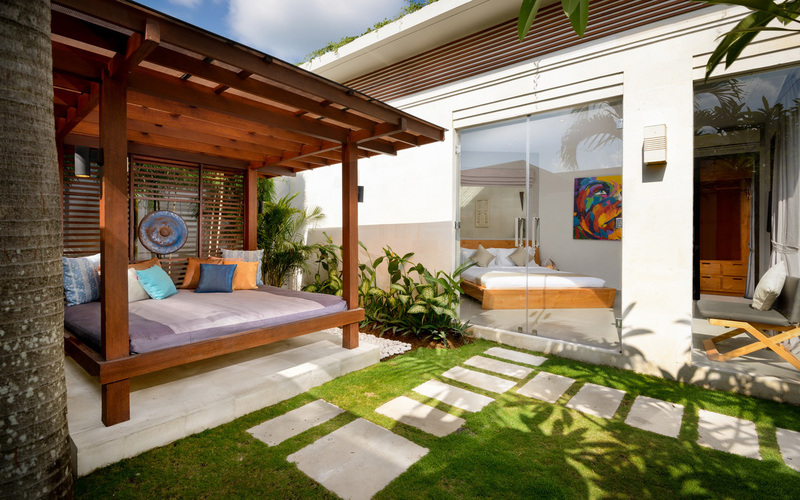 There’s a funky daybed with soft cushions and your private chef will whip up BBQ meals for you day and night upon request. 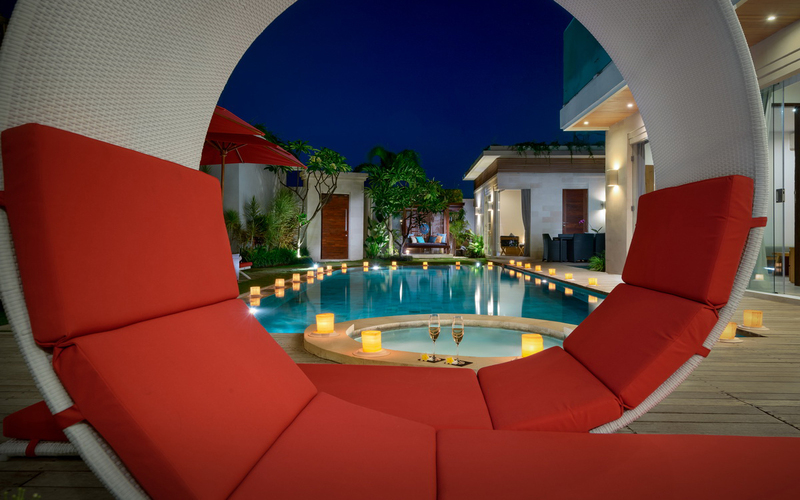 The living area is fully enclosed with floor to ceiling glass walls looking out onto the pool, its unique semi circle design a standout. 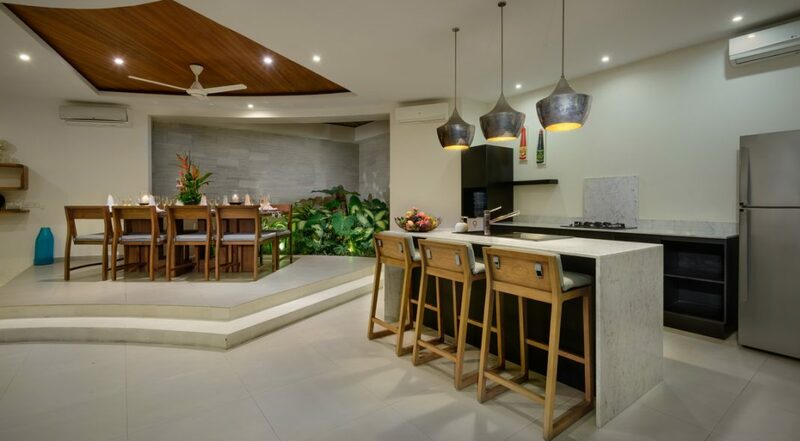 Large glass panels can be opened to enjoy the garden, its split-level layout houses a fabulous gourmet kitchen while on the upper level you can enjoy meals together at the dining table that seats 8 guests in comfort. 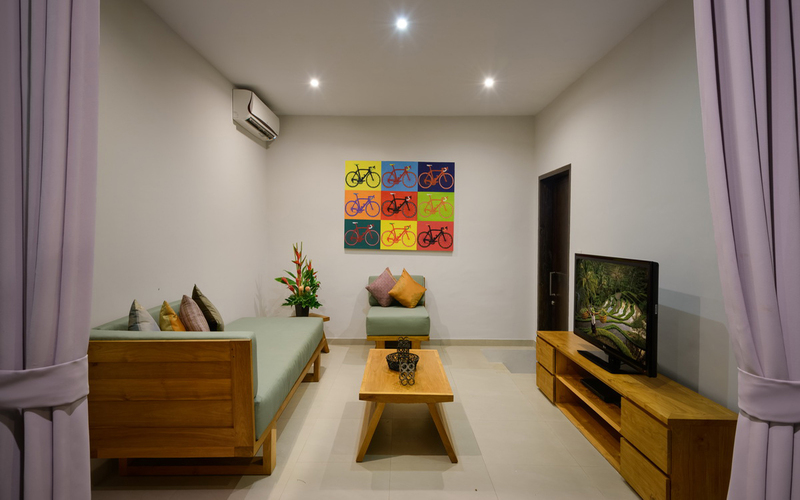 The large sofa will seat everyone at once so you can watch some TV, enjoy post and pre dinner drinks together and lay plans for your next days activities. 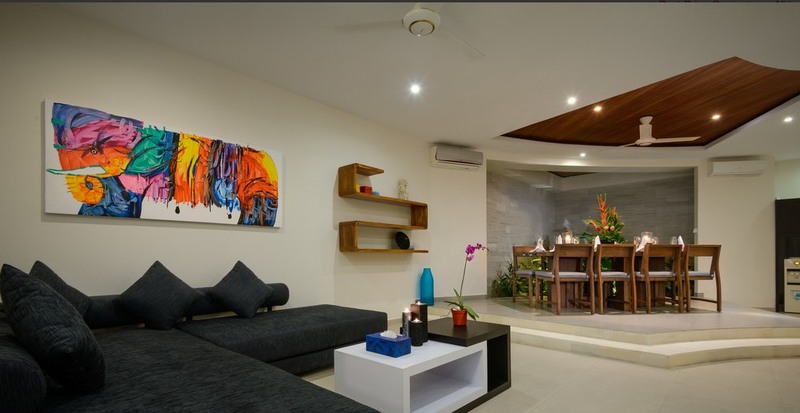 There is a separate air-conditioned media room ideal for the kids to do their thing anytime. 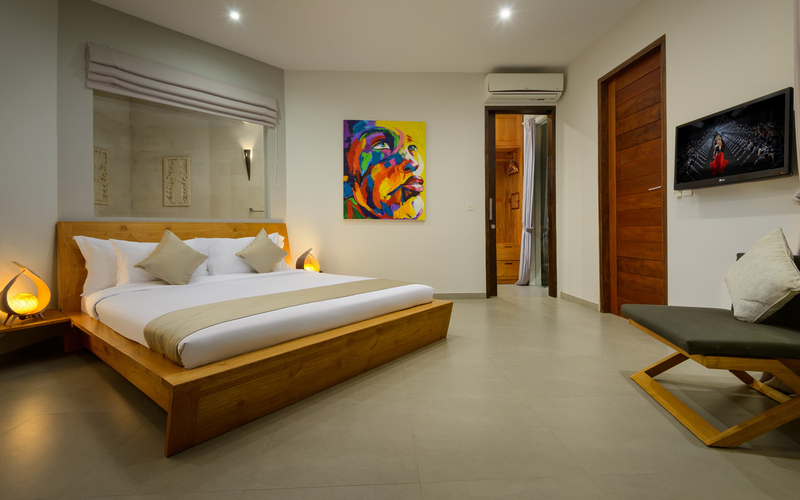 The master suite is generous in size and features a lovely built in timber bed while floor to ceiling glass walls offer lovely garden views. 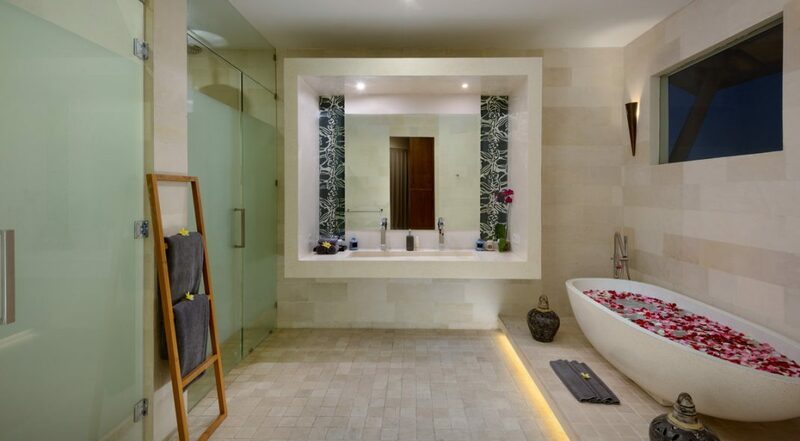 Guests can also enjoy a private lounge area here where you can watch TV along with a separate dressing room and a lovely terrazzo soaking tub in the en-suite. 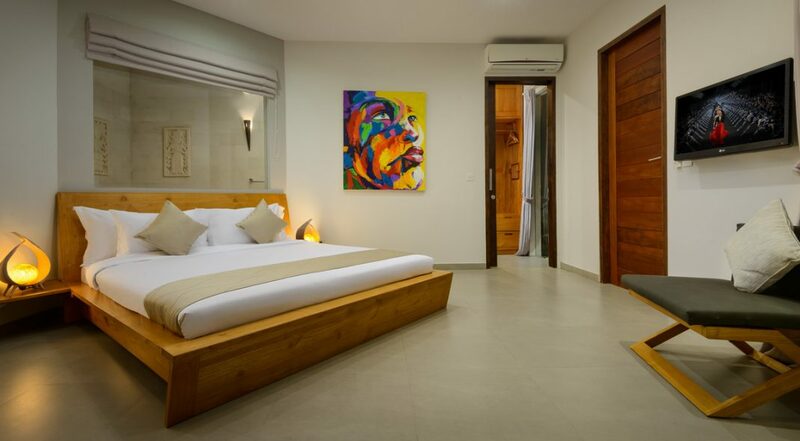 The guest bedrooms also have premium king size beds and all the amenities of the master suite. 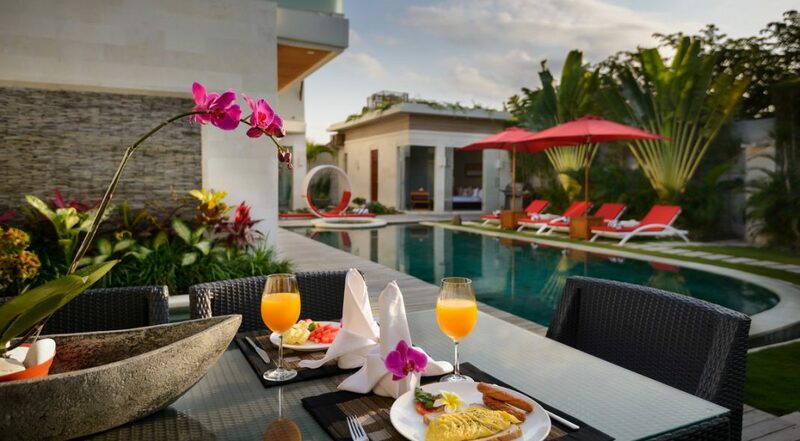 The villas professionally trained staff will take wonderful care of all guests and take great pride in making sure your holiday is totally relaxing and enjoyable. 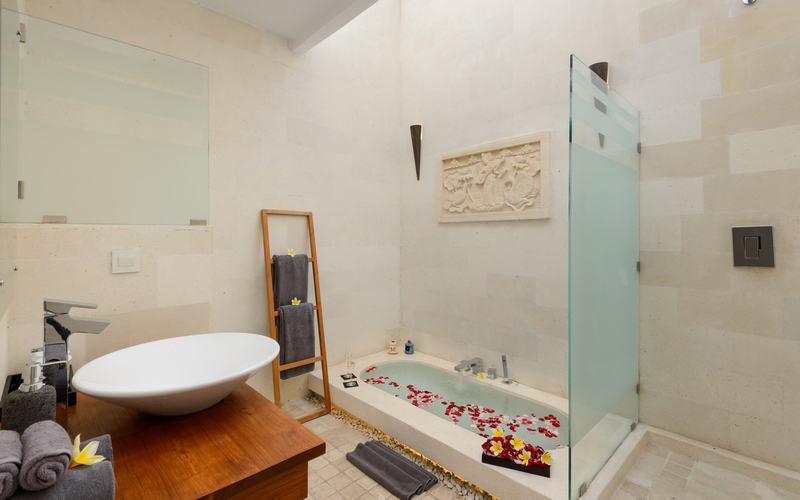 The daily housekeeping services, along with butler service and night time security ensure there is nothing left for you to do except relax. 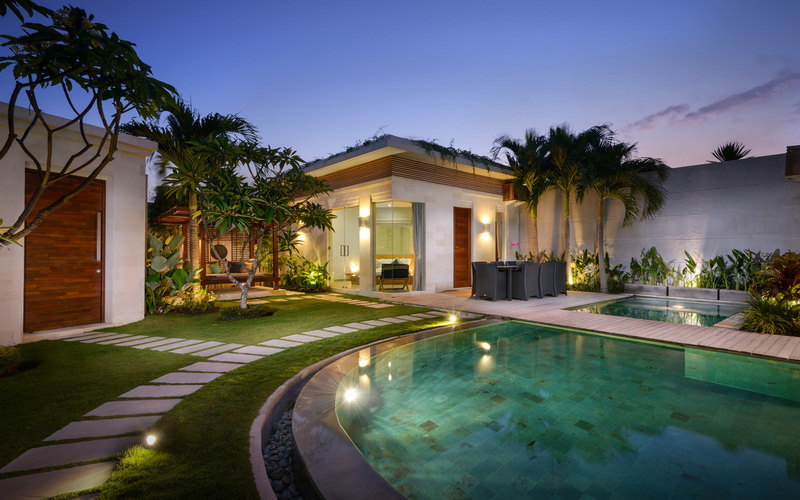 The experienced villa manager will be there to handle all of your special requests and needs. 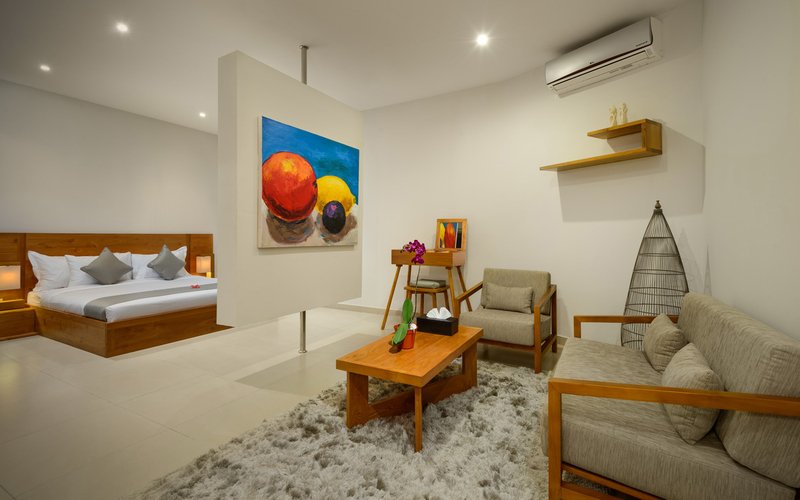 Located in a quiet lane just off Jalan Beberan, guests are just a short stroll from the fun and festivities of Red Carpet where you can drink the very best champagne and just next door you can do all your grocery shopping at Coco Mart full stocked with fresh produce, bread and imported items. Happy Chappy’s serves great Chinese food and suitable for the kids as well. If you want the ultimate fine dining Italian experience then try Settimo Cielo and take the kids for a fun night of Mexican food at Motel Mexicola. For those that need their daily coffee fix then the popular Revolver, Cornerhouse & Sea Circus are all close by. 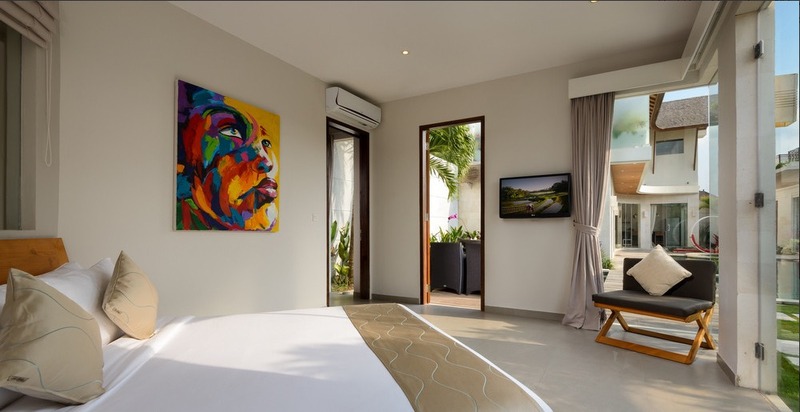 This is a very popular Seminyak villa so if your planning a trip to Bali, especially during the Australian school or public holidays please book Villa Miro well in advance. 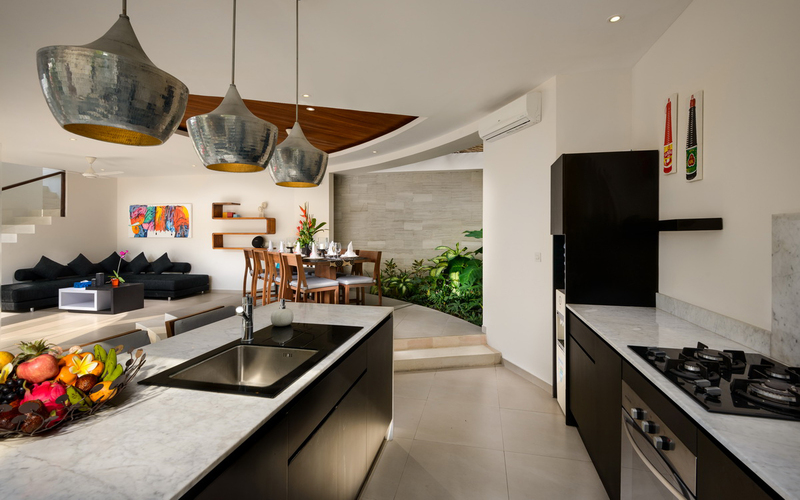 We recently stayed at Villa Miro - and had a fantastic holiday. There is nothing bad I can say about it. 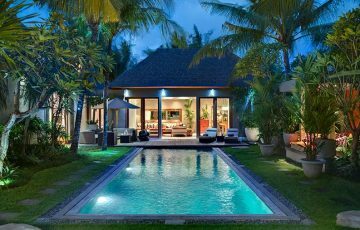 The Villa was clean and safe, and in a fantastic Seminyak location which was perfect for going out at night to some fabulous restaurants. The staff were always available when we needed them, and left us alone when we wanted privacy too. They arranged all of our needs! 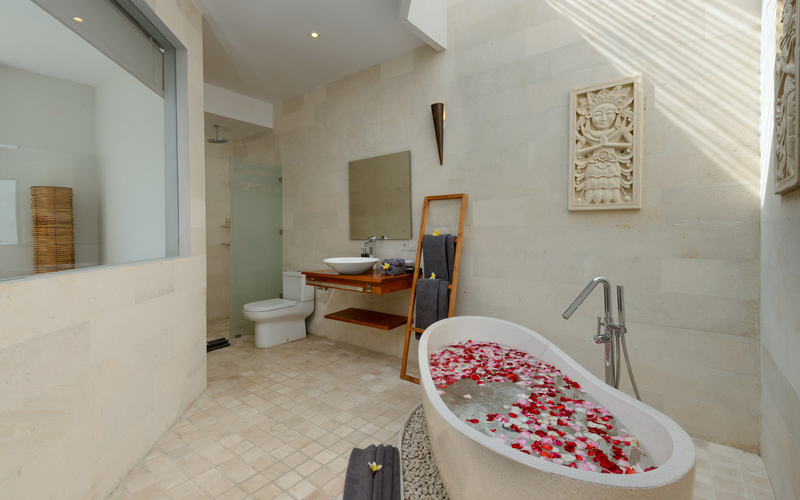 I would not hesitate in staying here again. 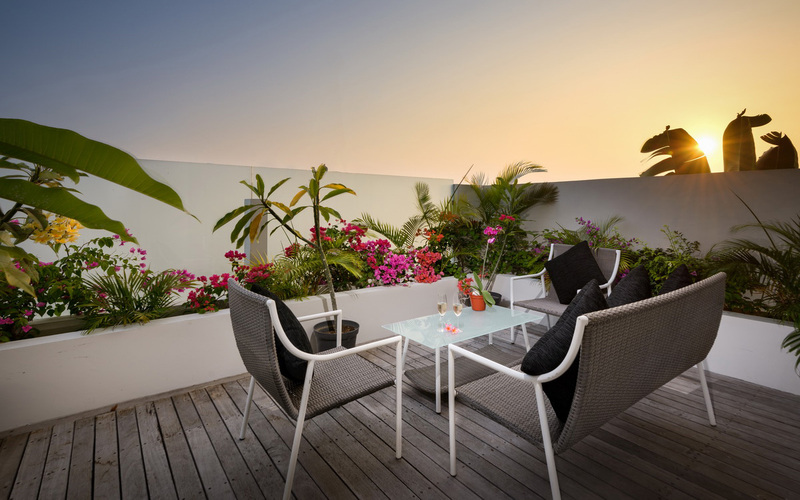 We knew that we had made the right decision as soon as we arrived and were greeted by the smiling and very friendly staff with welcome drinks - Ina and Dewi were absolutely the very best and we are already missing them. Villa Miro was perfect for our family of 5 and we spent a fantastic week here relaxing and soaking up the great and very chilled out vibe of the villa. 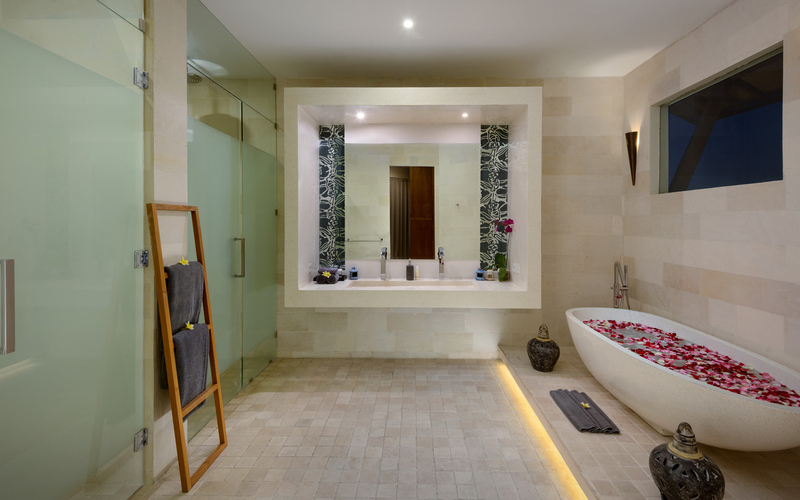 The bedrooms & en suites were all modern and cleaned meticulously every day plus there was lots of room for everyone. In terms of location you are really not going to find a better villa. All the best restaurants and cafes were withing walking distance. Plus the beach was literally minutes away. 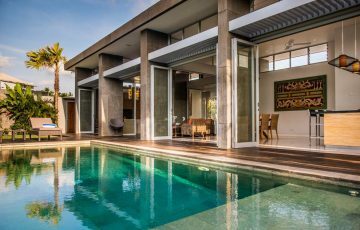 In terms of location, value for money and the exceptional service we received we easily give this villa a 10 out 10 & we cannot wait to come back here again on our next family trip to Bali. 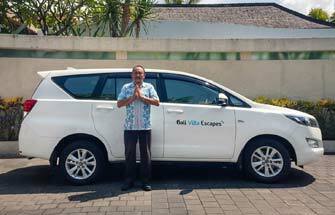 We are an expat family that travel to Bali regularly from Singapore. 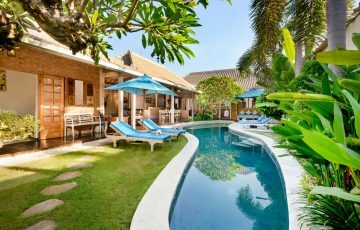 Villa Miro is exactly what we are always on the look out for when it comes to our accommodation; great location, top facilities, good pool area for the kids and a convenient location. Well worth it and highly recommended. 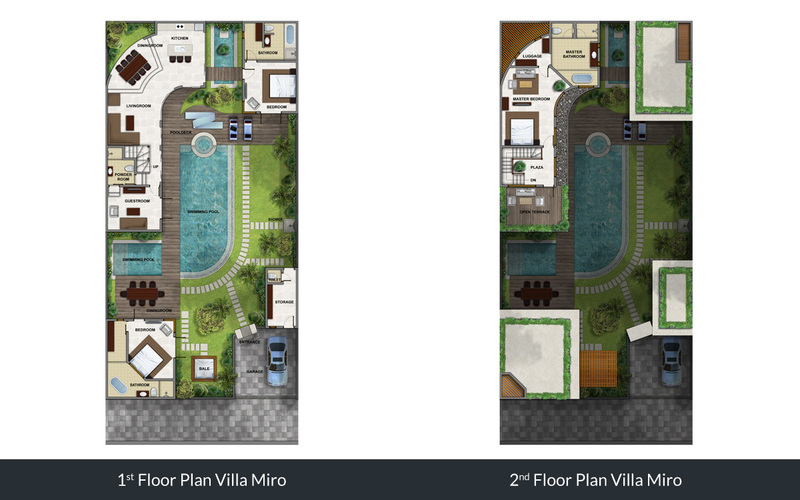 Our 3rd time to stay at Villa Miro. 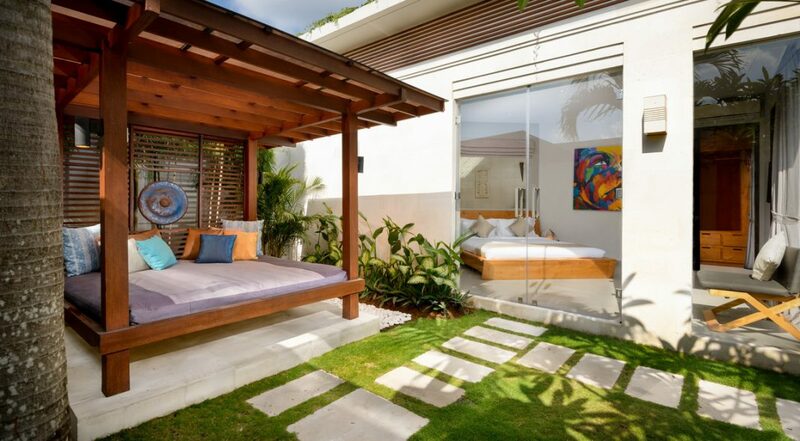 We simply cannot get enough of this place - it's AMAZING!!! 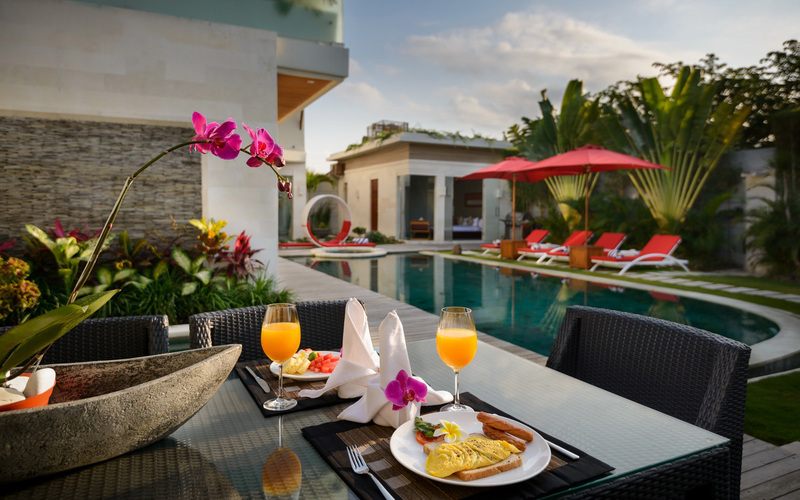 We keep coming back to Villa Miro and we come here so often because of the service, location and facilities. 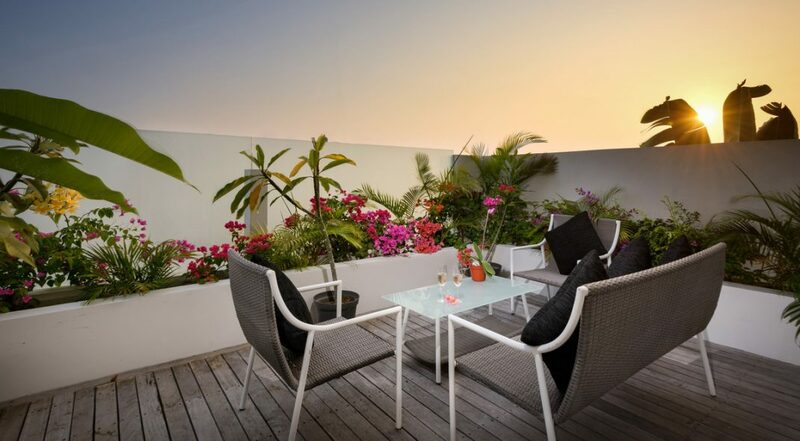 Central and very handy location close to the restaurants we always go to (Sisterfields, Ku De Ta, Saigon St etc) and the fabulous finishes of the villa. Coming back again next year for sure! !